teaching skills to another level! Work toward getting your 500 hour Certification while developing Vedic bodywork skills. 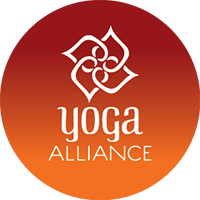 On December 8th we will begin a six month journey together to find a completely alternative use of Yoga Teachings. · Heather has been teaching yoga for over 35 years. A lifetime practitioner of Native Healing Arts, Heather is founder of The Yoga Polarity Center, a center for teaching Yoga, Subtle Energy Healing Arts including Polarity and Pranic Healing, and Energetic Listening Skills for Bodyworkers. Author of “Ahimsa in Communication” c. 2007, She has been on the staff of the New Seminary, The Southwest Institute of Healing Arts and Life Energy Institute and runs retreats worldwide in all forms of Energetic Healing. Admission will be made in the order that the applications have been submitted.